1. Low cost and high profit. 2. It is applicable to a wide range of people and easy to sell. Here is some successful optical shop project for your reference , if you also interested start your own business , pls follow me see more details at below . 1.Mini glasses kiosk in mall . You can see this kiosk is small but very fashion and exquisite，mainly tone is white, black and red , with double sides acrylic perforated plate, top and back sides hidden led light strip, looks very high end and bright . 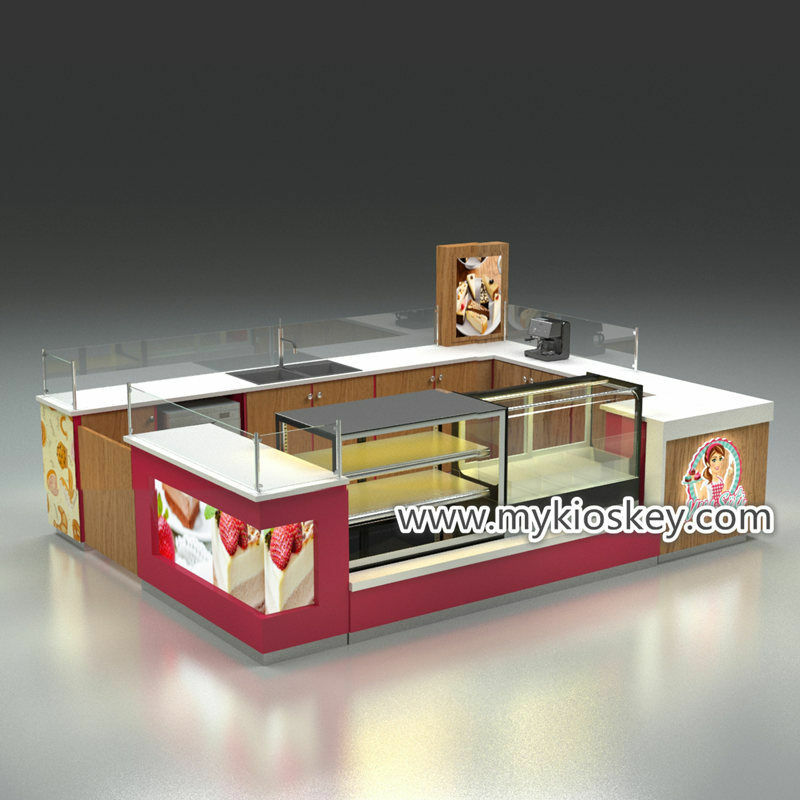 Considering the view and comfort, we only use the upper part of the display, below the configuration of some storage cabinets and packaging boxes storage area .The side is equipped with a high mirror, guests can easily choose to wear. with High customer experience. 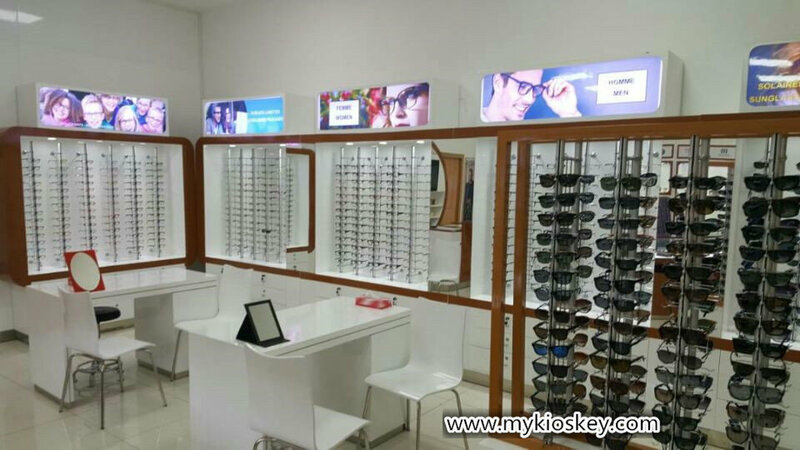 Whole optical shop is about 50sqm , choose white match a little gold decoration , very high end and luxury , you will find whole shop front part is opening , with glass windows, so, On both sides of the door we have a high display rack , is opening can see it from indoor or outdoor . In this way, even if the guests just pass by, they can easily see our flagship products and stop to choose . The back wall we also choose high wall display stand , Gold color stainless steel covered edge, each plate with hidden spotlight or led light strip , so, whole display stand is very bright and attractive . Glasses display rack is one of more popular display type for optical shop . 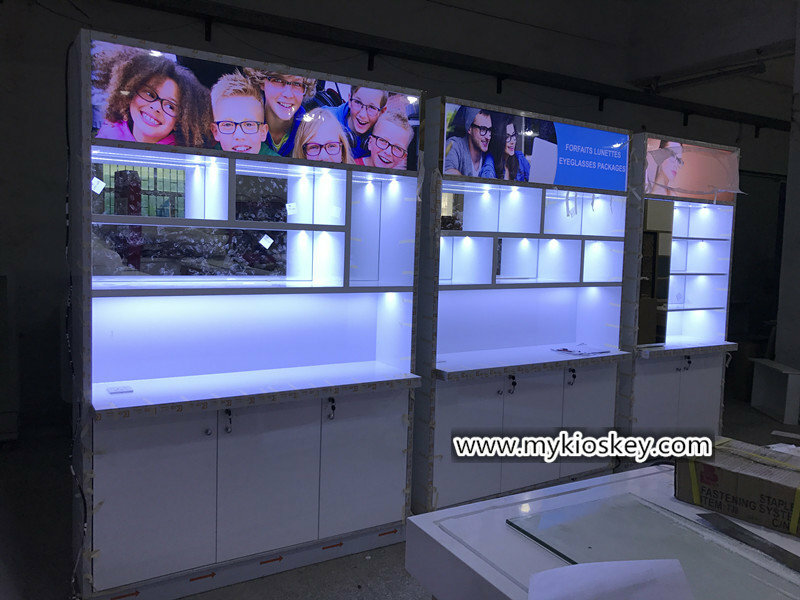 It can use the least space to maximize the display glasses．Top mounted spotlights , below sides is some drawer for glasses storage , the most top sides with many light box ,It is possible to clearly distinguish the glasses that are adapted to different groups of people. Guests can easily find their own style of glasses . 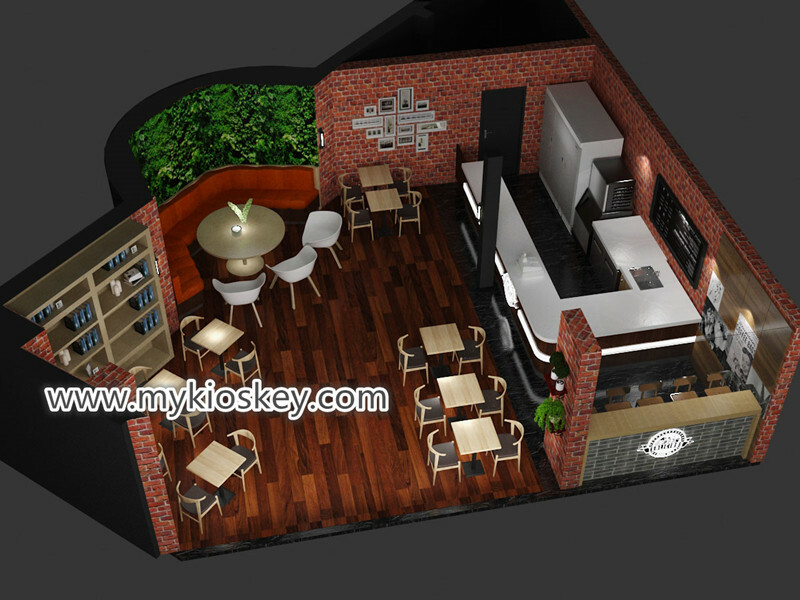 Thanks for your time and reading , hope this article has been helpful to your business，if you interested build your optical shop or other mall business , pls not hesitate contact us now , we have our professional design team can help you make a unique design . of course if you have ideas and have own design , we also glad to give you some suggest and help you production it . Look forward to further cooperation . Looking forward to your feedback.